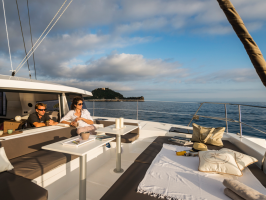 Enjoy a day of luxury aboard our exclusive catamaran. 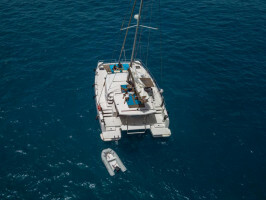 Experience the sensation of swimming with turtles, take a swim in our crystal clear waters or simply watch the whales and dolphins from the prow of the boat with panoramic views of the ocean. 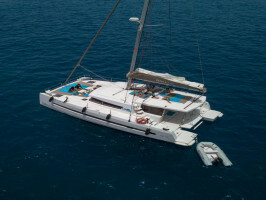 You can choose to share the tour or rent the catamaran privately. 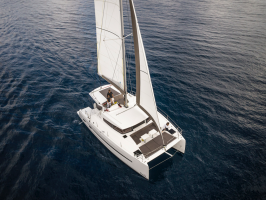 A catamaran that has its base port in the Marina del Sur (Las Galletas), you can sail along the Natural Reserve "Malpais de La Rasca", then we will separate from the coast to proceed with the sighting of cetaceans and return to swim with the turtles. Marina del Sur (Las Galletas), pantalán 2.